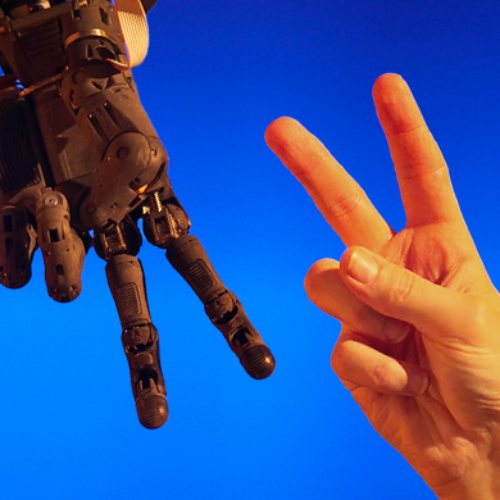 DRDO Daksh is an electrically powered and remotely controlled robot. Daksh is an electrically powered and remotely controlled robot used for locating, handling and destroying hazardous objects safely. 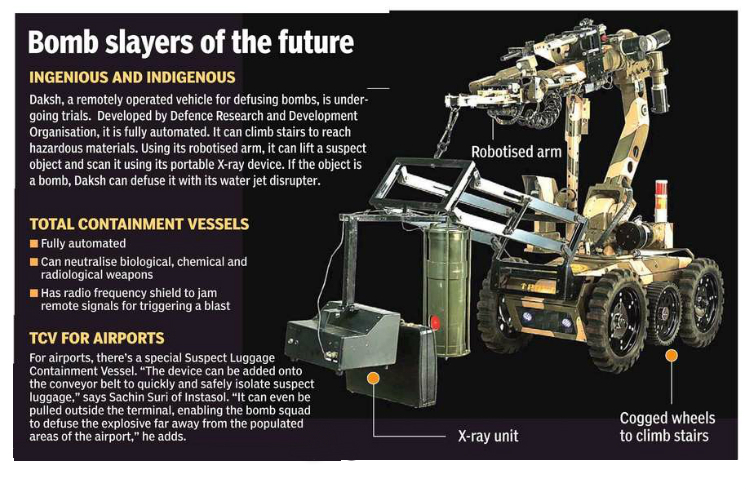 The primary function of this battery powered remotely controlled robot on wheels is to recover improvised explosive devices. 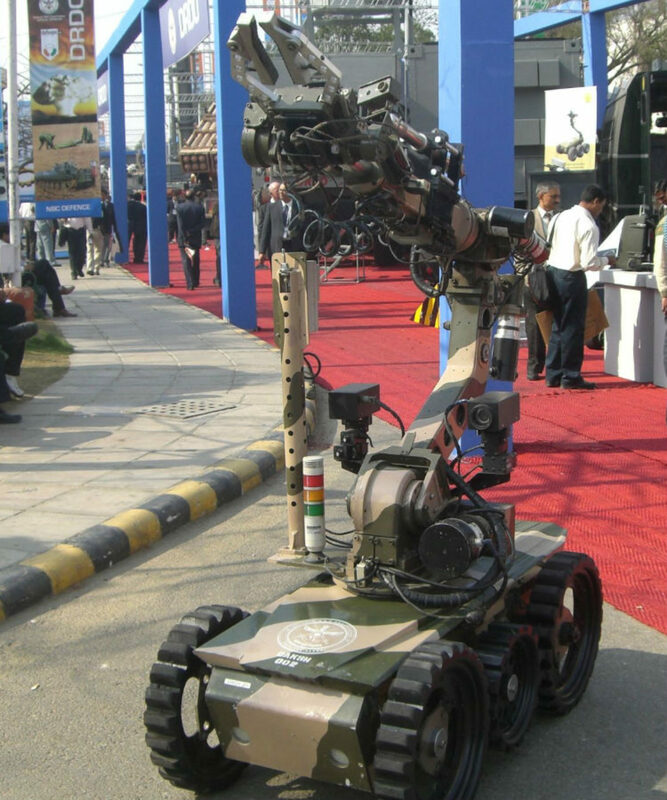 The Daksh ROV is India’s first indigenous robot and R&DE has transferred the technology to three Pune-based companies, Messrs Dynalog, Theta Controls and Bharat Electronics, which are in a position to manufacture and sell the equipment with a specified royalty to be paid to the DRDO. The IEDs get located by Daksh’s X-ray vision. 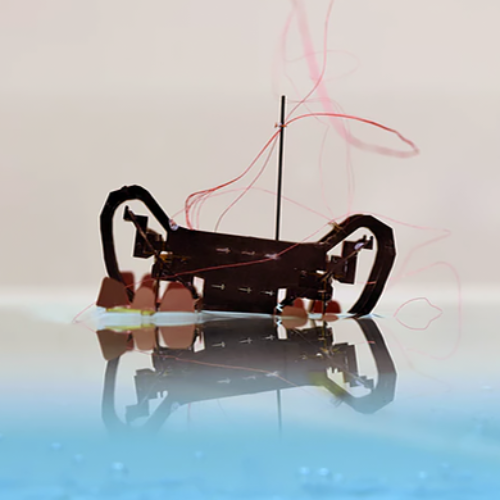 Once the target has been identified, the robot picks it up using gripper arm before finally diffusing them with a jet of water. The robot also has a high-calibre shotgun, with which can it can take out targets, or break open locked doors. Its high-calibre sensors can be used to scan cars for explosives. Daksh can climb staircases, negotiate steep slopes, navigate narrow corridors and tow vehicles. 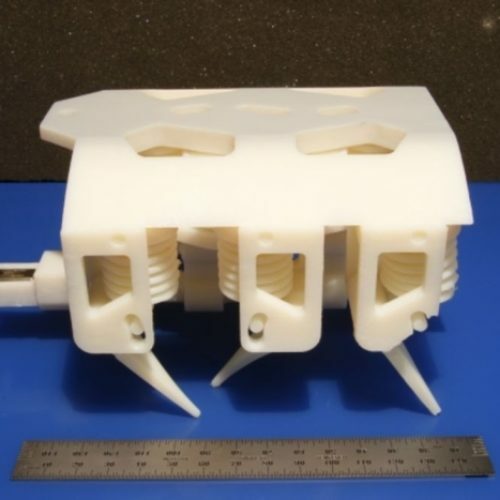 The robot was part of a package that also included a carrier vehicle, which could carry the robot, six personnel, a master control station, accessories and spares. The robot, which can travel 500 metre from the master control station, is adept in cross-country situations and could even climb stairs. The operator in the vehicle has access to a portable, X-ray system, which allows him to see the insides of a bag. As for the future versions of Daksh ROV, these will be equipped with night vision devices, increased battery life and the capabilities to survey Nuclear Biological chemical (NBC) contaminated area. 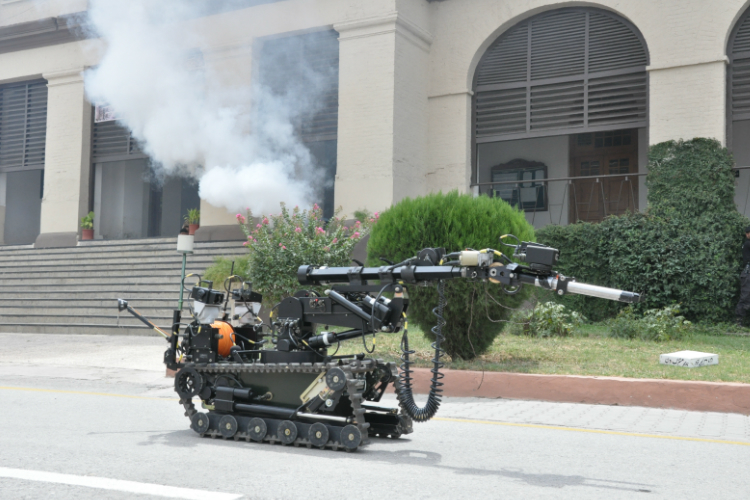 Apparently, a gun mounted version of the robot has also been under development at the R&DE laboratory in Pune.